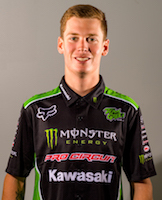 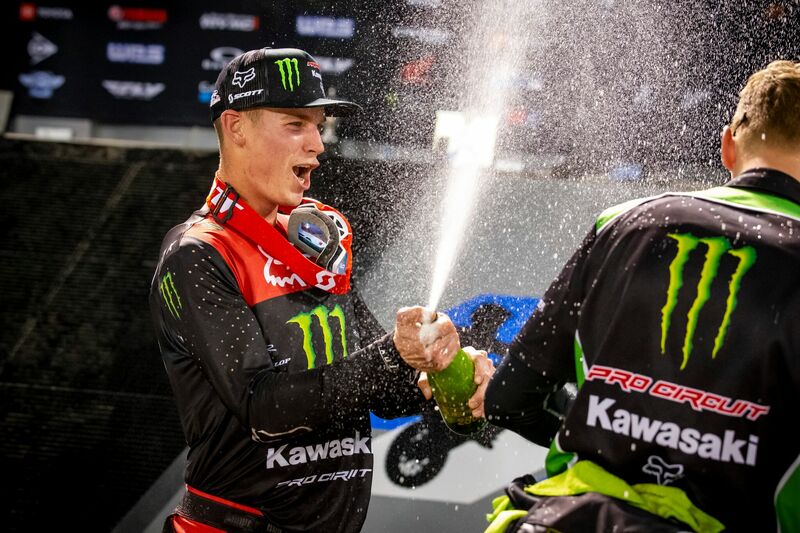 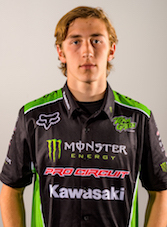 OAKLAND, Calif. (January 27, 2019) – Monster Energy Pro Circuit Kawasaki’s Adam Cianciarulo took advantage of a very demanding and physical track inside Oakland-Alameda County Coliseum and put his KX250 back on top of the podium. 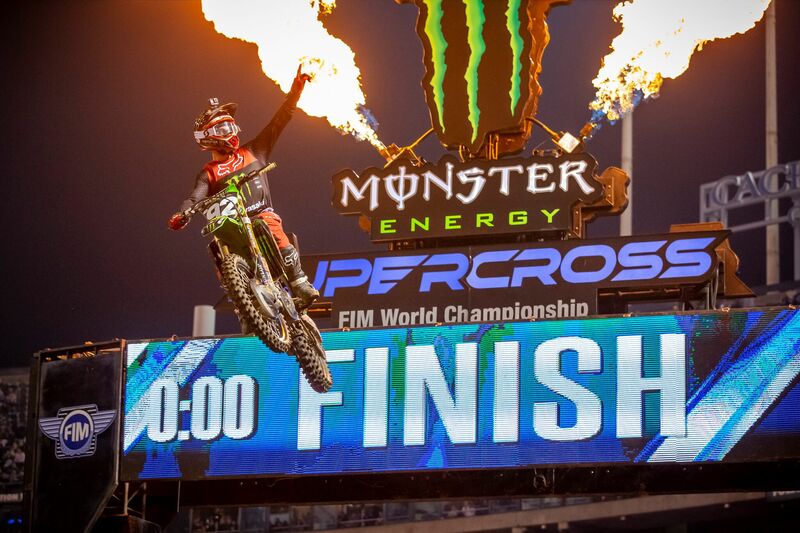 The two-time winner now sits only three points back of the championship leader after four rounds. 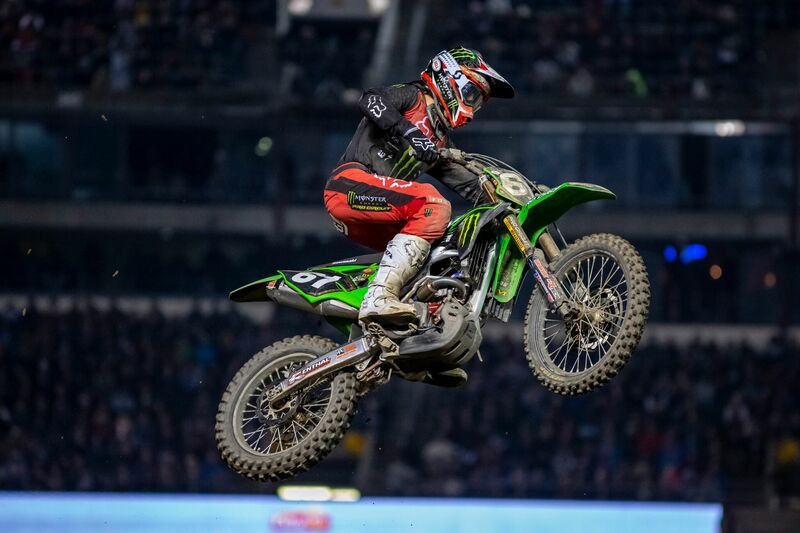 Teammate Garrett Marchbanks bounced back from a tough Anaheim race to finish once again in the top 10, ending up eighth.